Meet one of the oldest crossbreed’s in the canine world: the Cockapoodle, Cockerpoo or most commonly, the Cockapoo. This insanely adorable mix shares genes from the Poodle and Cocker Spaniel. 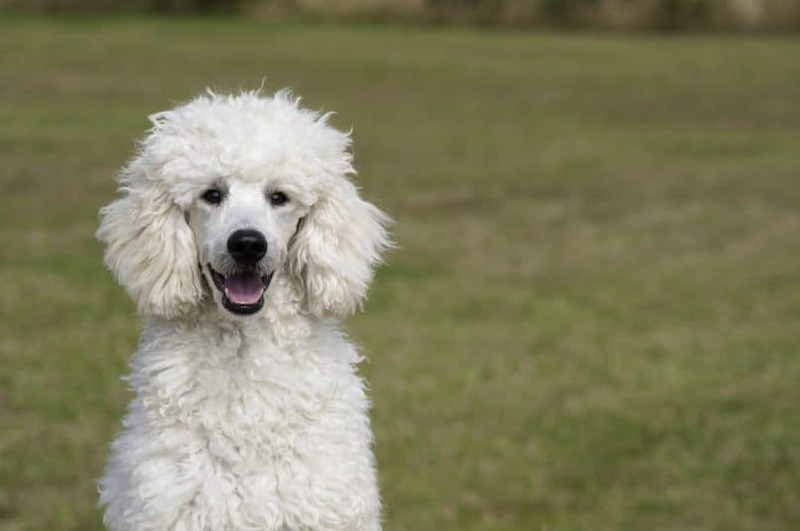 A few of the most notable characteristics it has inherited are intelligence and the spirited confidence of the Poodle along with the softer, gentle temperament of the Cocker Spaniel. The Cockapoo has been around since the 1960s and continues to be considered as one of the more popular designer dogs. I’m not just talking about its charming teddy bear looks either! Ready to find out what makes this breed shine? We’ll explore all things Cockapoo and you can decide if those round, chocolate eyes and fluffy little face sing to your dog lovin’ heart. What’s the deal with Spoodles? How Does the Cockapoo Compare? Conclusion: Is the Cockapoo the Dog for You? When you see this dog for the first time, you might fall in love with its lush coat of silken waves. This thick fur is low-shedding and low-dander (like another fluffy yet allergy-friendly breed, the Portuguese Water Dog). And though the Cockapoo’s parent – the Poodle – is hypoallergenic, that doesn’t mean the offspring will be. Therefore, if a breeder ever guarantees a hypoallergenic puppy, don’t take their word for it. The coat comes in a splendid palette of colors that is solid, parti or tri-colored, including black, tan, brown, red, cream, sable, beige, brindle, merle or spotted. Now, let’s do some digging on the Poodle and Cocker Spaniel to learn about the genes they inhibit that possibly play into the appearance of this crossbreed. When you’re hypoallergenic, got an easy-going personality, you’re seriously athletic, oh- and you’re the second smartest dog breed behind the Border Collie, let’s just say everyone will go ga-ga over those genes! The Poodle is world-renowned for its talents, making Poodle mixes the biggest thing since sliced bread. In fact, the French became so smitten with this breed that it was named as the country’s National dog. How’s that for love and devotion? The Poodle isn’t just a high-performance show dog. It does well in service and has a loving personality that makes it great for families with children and other pets. Remember the movie Lady and the Tramp? That Tramp couldn’t resist the gentle charm of Lady, the Cocker Spaniel. Neither can dog lovers, who became entranced by this floppy-eared breed after the debut of this classic Disney flick. This breed has got a winning demeanor cherished by families, elderly folk, and singletons alike. She won’t nip at your heels, growl at the cat or bark at every leaf that blows onto the driveway. Instead, the Cocker Spaniel will lick a frowning face until it smiles, cuddle on the couch during a blustery night and christen a room with an air of calm. There are several varieties of Spaniel, but the American Cocker Spaniel is the type that is used to produce a Cockapoo. It is the smallest of the Sporting dog breeds, with long, soft fur (that is NOT hypoallergenic), round skull and stumpy muzzle. If you are seriously considering buying this breed, make sure you understand the varying sizes a full-grown Cockapoo can be to avoid sullied expectations. 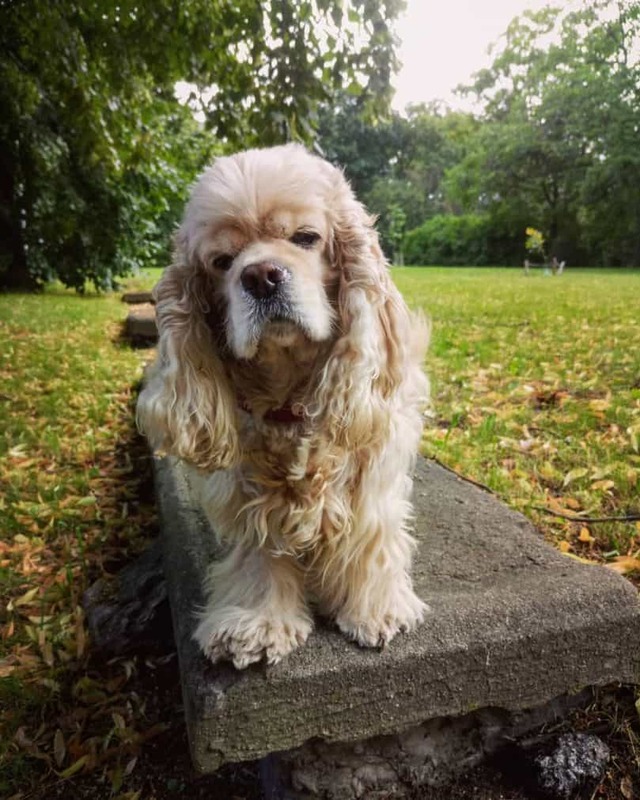 American Cocker Spaniel: This is specific to the Cockapoo. English Cocker Spaniel: This is specific to the Spoodle. At first glance, these Cocker Spaniel breeds might look the same, but they actually display striking differences that affect the physical and behavioral differences of their offspring. The most noticeable physical difference is in the shape of the head and snout. The American Cocker sports a dome-shaped skull with a snubby nose while the English Cocker has a flatter skull with a long nose. The American Cocker is smaller than the English version, with a thicker coat of fur. Personality-wise, both breeds are sporting dogs, but the American Cocker wasn’t bred to hunt. It’s used more as a companion dog, which has earned it a reputation as being gentle and more apt to hang around the family. English Cockers have a long history of being used to hunt and will display these instincts with a natural inclination towards athleticism. They’ll chase birds and other critters, showing agility and protectiveness. These attributes are what set the Cockapoo and Spoodle apart, and efforts have been made by The Cockapoo Club of America and The American Cockapoo Club (ACC) to strive for a Cockapoo standard breed that differentiates it from the Spoodle. This is the next big consideration to take when shopping around for a Cockapoo. There are 4 different sizes used to categorize them, thanks to Poodle variants. Here is a rough guide to give you an idea. Teacup Toy Cockapoo: This is a cross between a small-sized Cocker Spaniel and a small-sized miniature Poodle. It can weigh less than 6 lbs and is less than 10 inches in height. Toy Cockapoo: This is a cross between a standard Cocker Spaniel and a Teacup/ Toy Poodle. It can reach 10 inches in height but has a sturdier build, weighing just under 12 lbs. Miniature Cockapoo: This is a cross between a standard Cocker Spaniel and a Miniature Poodle. It can weigh up to 18 lbs and reach 14 inches in height. Standard or Maxi Cockapoo: This is a cross between a standard Cocker Spaniel and a Standard Poodle. It can weigh up to 19 lbs and reach 15 inches in height. There are oodles of Poodle mixes out there. The question is, how do you know the Cockapoo is the one for you? Here’s how it compares against two of the most popular hybrids. Both of these breeds are mega cute and make wonderful family dogs due to their calm and lovable temperaments. 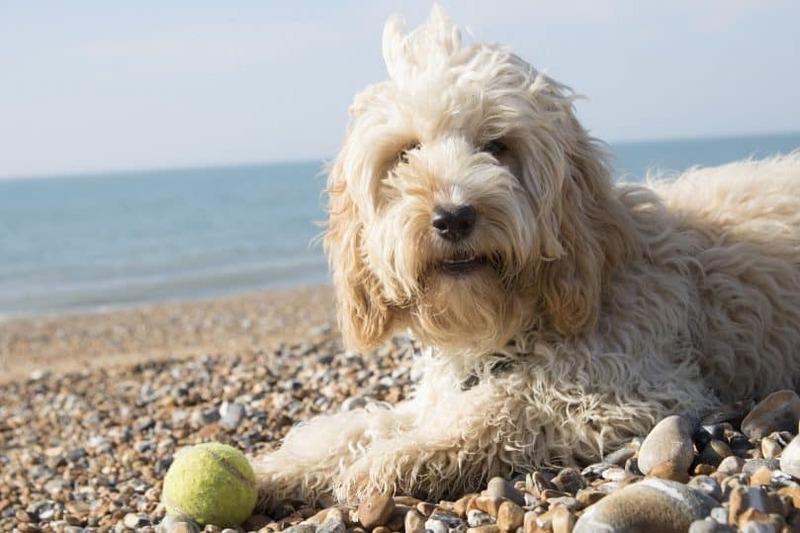 The Labradoodle is a cross between the Poodle and the Labrador Retriever, which understandably tweaks the genes a bit as compared with the Cockapoo. Retriever genes make the Labradoodle an outdoors whiz that enjoys swimming and “retrieving”. It also exudes much more energy than the Cockapoo. Therefore, it calls for more daily exercise or else destructive behavior will follow. The Cockapoo is more easy-going and is happy to laze around by your side on your day off. Another major difference is the size. Labradoodles are bigger than Cockapoos, with the standard reaching 24 inches (60 cm) tall and weighing up to 65 lbs (29 kg). The Cockapoo and Cavapoo share many similarities. If you love stuffed animals and shaggy hair, then these two have got it. If you’re looking for a family dog that will love you and your kids forever- both will not disappoint. The main differences between these two come from…yup, you guessed it: the parents. The Cavapoo’s other parent is the small-sized Cavalier King Charles Spaniel. This mainly lends to a difference in size, which is important to some dog owners. The Cavapoo tends to be anywhere from 9 to 11 inches in height (22-28 cm) and can weigh up to 18 lbs (8 kg). Other than size, count on the Cockapoo being the more energetic of the two. They are laid back, to begin with, but the Cavapoo is truly a lap dog that considers the lap to be luxury as opposed to chasing balls and squirrels. The Cockapoo is also known to be highly adaptable to changing environments. 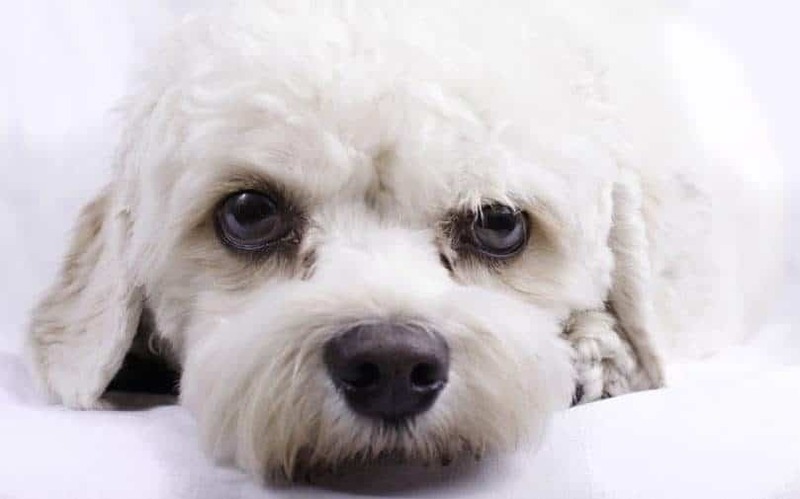 For example, if a new pet is introduced to the household or the family moves to a new city, this breed will be able to take these new changes in stride whereas a Cavapoo might exhibit more signs of anxiety. 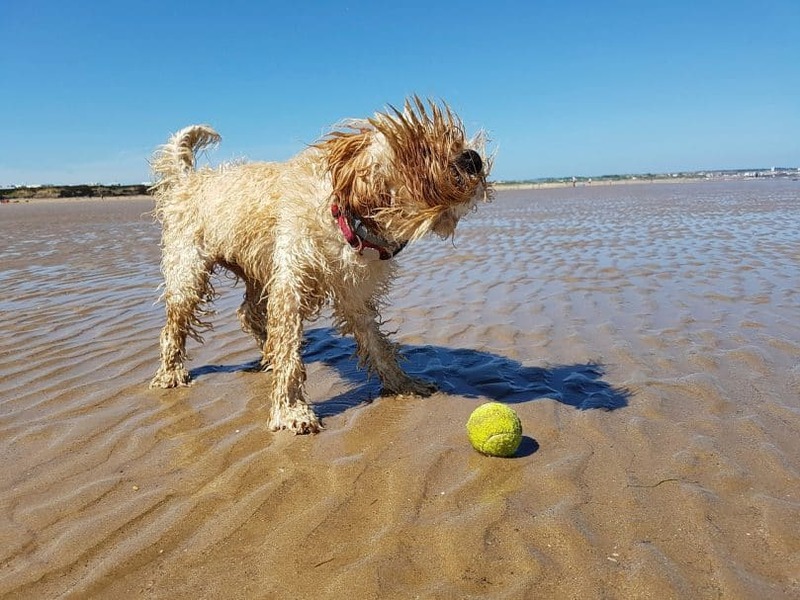 Now that you know the technicalities of what makes up the background of a Cockapoo, let’s delve into the temperament and behavior that has earned this breed a reputation for being a fantastic companion. Laid back, happy-go-lucky and naturally inclined towards love, the Cockapoo doesn’t have an aggressive bone under all that golden fluff, nor does it care much about being a protective watchdog. Upon meeting a stranger this breed will probably wag its tail and saunter up to say hello with full trust intact. So, if you’re looking for a fur baby that’s got your back, better go with something more like a Schnoodle. The Cockapoo may not bark at strangers, but she will bark if left alone for long periods of time. The poor baby loves her family so much that she can’t bear to be away from them for too long. Separation anxiety will lead to excessive barking or destructive behavior. Highly adaptable, this breed can live in an apartment or a house with a fenced-in yard, although you should take the dog’s size into consideration out of fairness when deciding if you want to own one. Outdoor living or kennels are not suitable for this breed. These gentle pups are sensitive and won’t respond well to stern conditioning when it comes to training. Keep it positive with patience and calm reinforcement and watch your Cockapoo blossom as she works hard to please you. Crate training is recommended for Cockapoos for housebreaking and to help pacify separation anxiety. The structure, routine and den-like security offered by a crate along with consistent calm commands will help shape an obedient dog. 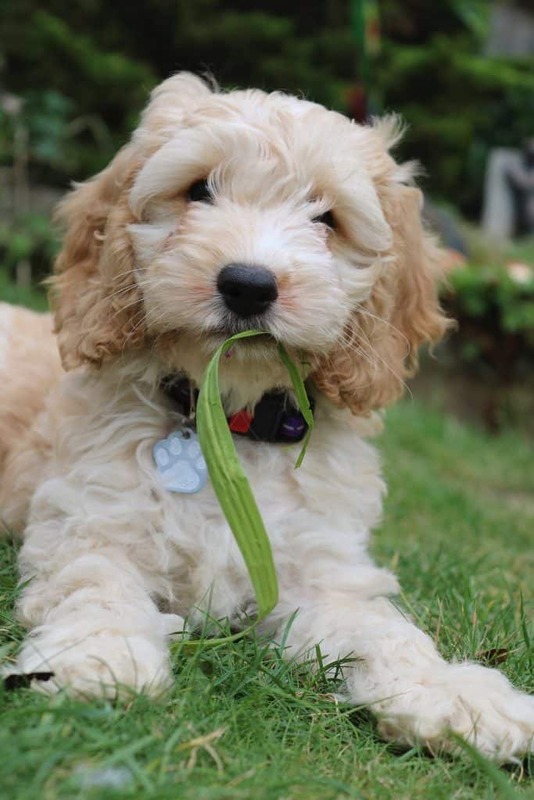 See how this Cockapoo owner uses gentle reinforcement to train her puppy. Maybe it’s the demeanor or perhaps it’s this breed’s dedication to peace and love. Experts will probably argue that it’s the mixing of genes that results in a stronger gene pool. Whatever the reason may be, the Cockapoo knows how to live a long and happy life. As with all breeds though, it does come with its fair share of health issues to be aware of. These are the most common ones for Cockapoos. Cataracts: This condition affects the eyes, causing vision impairment or blindness. Patellar Luxation: This is a condition that results in painful kneecap dislocation. 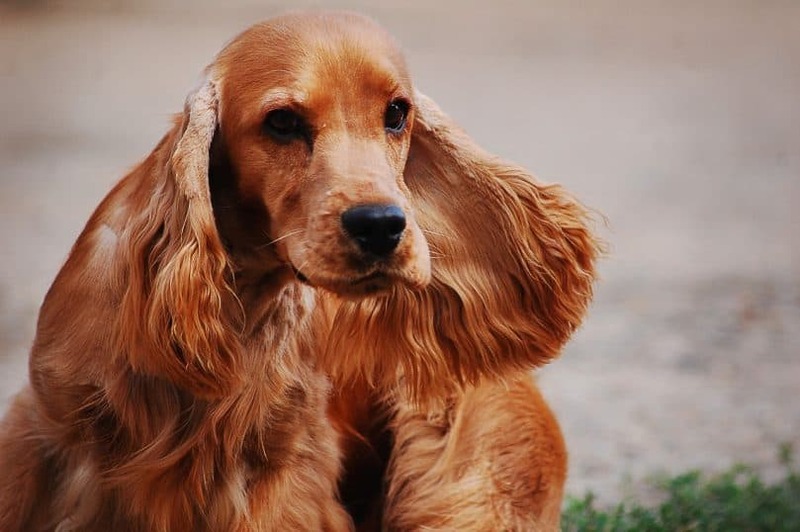 Ear Infections: Floppy ears can trap dirt and moisture, leading to painful infections. 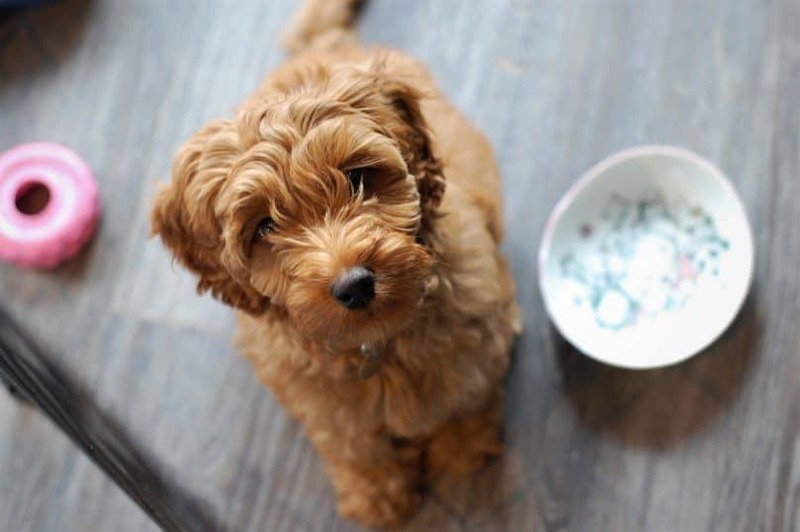 Keep your Cockapoo in good health by enforcing a daily routine that includes high-quality dog food and at least 15 minutes of exercise to ward off obesity. Feedings should occur twice a day, dividing about 1 cup of food equally. For exercise, your Cockapoo might need a little push to get rompin’. Try games such as fetch or take her for a long walk or run around the park. Cockapoo puppies can cost up to $2000. Puppy mills should be avoided. The puppies may be cheaper and the transaction may seem effortless, but those benefits come at a horrific cost. Parent dogs are bred to exhaustion, delivering litter after litter in filthy conditions. Not only that, but you won’t have any insight into the medical background or bloodlines of the parents. This is extremely crucial for crossbreeds, especially the Cockapoo. Without knowledge of the parents, there is no guarantee of what your puppy will look or act like. Poor breeding can result in Cockapoo puppies that are weak in health with unpredictable behaviors. Instead of looking for a quick fix, take your time to find an ethical breeder. Here are our top tips for your search. Visit the premises to scope out the conditions. If the breeder doesn’t allow it, this is a red flag and they should be crossed off the list. Come prepared with questions about the parents. Do either of them have a history of hip dysplasia? How is the temperament? Are there health clearances that can be provided? Ask away! The breeder should ask you questions as well. They’ll want to make sure the pups are going to safe, loving homes. Still not sure how to get started? Let us give you a paw. Check our list of approved Cockapoo breeders from around the globe. Smokey Pines Kennel: This breeder has over 20 years of experience breeding Cockapoos in Claysburg, PA. They encourage visits to meet the parents and are members of the ACC and American Cockapoo Club. Prices range from $750 to $900 plus tax. Stasias CutiePoos: This breeder from Effort, PA sells puppies for $1700. They use social media to stay connected and live-stream litter births to give potential buyers insight into the lives of their puppies from the very beginning. Angels Cove Cockapoos: Located in Nelsonville, OH, this breeder has puppies for purchase on a consistent basis. Better yet, they provide references upon request, which is one of the most helpful ways to determine the legitimacy of a breeder. 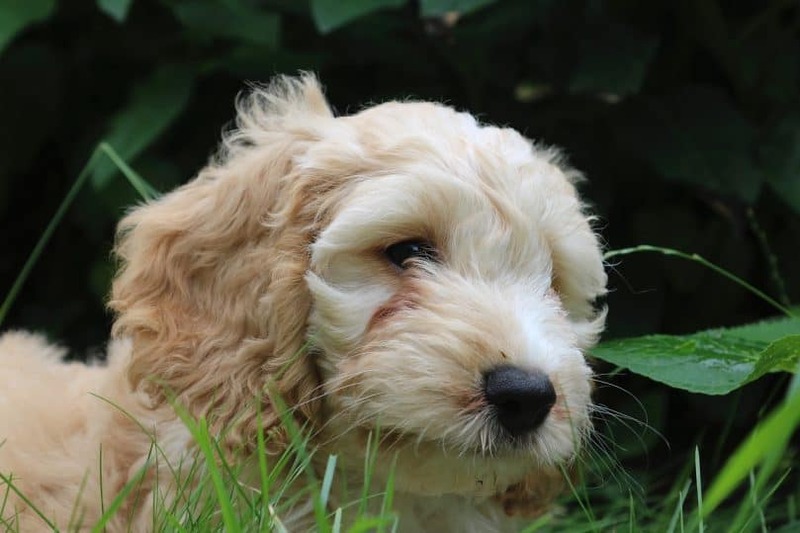 Pure Heart Farms: In the beautiful countryside of Blanchester, OH you’ll find a breeder that takes pride in producing ACC approved Cockapoo puppies. Applications are available on their website with purchase agreements. Family Love Kennel: This is a small, family-run business in Macclenny, FL. They are open to any questions about their Cockapoos and the parents. They offer a guarantee on health, stating that puppies are CERFed annually and checked for Patella Luxation. Cockapoos By Choice Kennel: Located in Edwardsburg, MI, this breeder is an ACC member. They have over 40 years of experience with breeding, grooming and training dogs. Besides providing folders on health history for their puppies, they also offer a first time training class to help new families learn the basics of puppy care. A&Js LoveOurPups, LLC: This is a state licensed breeder located in Dacula, GA. They sell Cockapoo puppies that are raised in-home with a loving family. The parent dogs are all AKC, CKC and ACC Registered. Wind Horse Offering: This is a reliable breeder from Earleville that offers references, health clearances, and puppy’s first shots. Raised at home in a small family atmosphere, they receive plenty of attention before going to their forever homes. Cuppycake Cockapoos: Located in Aberdeen, NC, this breeder sells Cockapoo puppies with passion. Their dogs are registered with several affiliations and the parent dogs are of purebred descent coming from 5 generations of pedigrees. These pups cost around $1600. Carolina Cockapoos: Hailing from Connelly Springs, NC, this is another family breeder offering high-quality, healthy puppies. They do Cerf Patella and Pra/Prcd testing, are vet recommended and have references upon request. These pups cost $1200 to $1400 depending on color. Sugar and Spice Cockapoos: You’ll find this family breeder in Swansea, SC where the puppies are raised around children and other dogs, so socialization is already conditioned. The cost for a puppy ranges from $1500 to $2000. Boer Trax Acres: These puppies grow up in the countryside in Woodruff, SC around family and other animals, such as goats. The breeder’s website features testimonials and pictures from happy customers. Cold Spring Kennels: Located in Abbeville, SC, these puppies grow up well-socialized and come ready with dewormings and shots. Testimonials are available on the breeder’s website. MoonShine Babies Cockapoos & Doodles: This breeder in Connersville, IN takes great pride in producing litters that are showered with love. The parent dogs are registered as service dogs and the puppies are raised in-home. They also look for “guardian homes” for Cockapoo adoption. Oz Cockapoos: This breeder in Holton, IN offers ACC registered Cockapoo puppies for sale as well as dogs for guardian homes. The puppies come with multiple health clearances. Prices are $1600 to $2000. Deaz Cockapoos: Hailing from Connersville, IN, these folks sell Cockapoos for $1500 per dog. These pups come well socialized as they grow up in-home surrounded by family. They offer information on adoption, guardian homes and more. With Poodle and Cocker Spaniel parents, the genes that go into this adorable mix include talent, intelligence, and a laid-back, gentle demeanor. This makes it a great companion dog. Cockapoos get along well with children, older adults, and other pets. They are open to anyone, which doesn’t make this breed the top candidate for a watchdog position. Do be aware though, this breed can suffer from separation anxiety if you leave her alone for long periods of time. What do you think about the Cockapoo? Tell us in the comments!